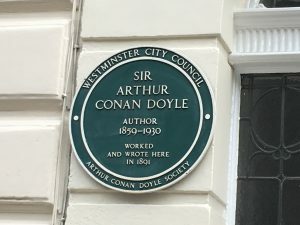 Walk through the London of Arthur Conan Doyle and Sherlock Holmes – two fascinating men whose lives were shaped by the streets of this fascinating, and often lawless, city. Find out how Arthur Conan Doyle created the world’s most famous fictional detective, and how Sherlock grew into a literary phenomenon. The walk will begin at Regent’s Park and end near Covent Garden.